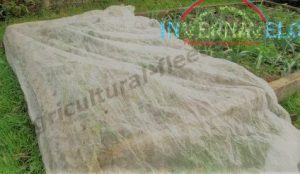 Agricultural fleece is popularly used in both commercial and market gardens to protect plants and create an enabling environment for them to grow. 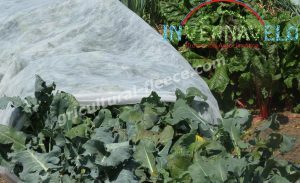 It is a non-woven polypropylene fabric that is usually white in color and usually used as Growing Tunnel or Floating Row Cover to protect plants from damages caused by insects, frost as well as extreme weather conditions. Horticultural fleece or agricultural fleece is designed in such a way that air and water can pass through without any obstruction, and they get to the soil and plants below. One of the purposes of using agricultural-fleece is to permit a reasonable extension of the growing season. The fabric can help to raise the soil temperature to some degree to protect plants from the effects of frost and wind damage. Agricultural-fleece can also help to promote early seeding as well as late harvesting of certain vegetables and flowers. It also maintains sufficient amount of soil humidity and increase in crop yield. Agricultural-fleece is very effective when it comes to crop protection from frosts and wind damage. Agricultural-fleece is very effective when it comes to crop protection. It provides a form of physical barrier that prevents birds and insects from attacking crops and newly sown seeds. Apart from the fact that it protects crops from frosts and wind damage, it has a way of maintaining soil temperature which helps to protect crops from damages caused by excessive heat. It traps in ground heat and create a form of microclimate around plants. The effect of the microclimate helps to raise the temperature of the soil underneath the fleece. Cold conditions and frosts can destroy plants. That’s why using Horticultural fleece in cold and frosty regions can save your plants from destruction. Even a 2-degree centigrade increase in temperature can save plants from damage in cold conditions. Agricultural-fleece works as an effective climate barrier because it helps to reduce temperature extremes. However, the activities of this fabric help to create ideal conditions that enhance plant growth which leads to earlier harvest, increased yields as well as extended growing seasons. Cold conditions and frosts can destroy plants. That’s why using Horticultural fleece in cold and frosty regions can save your plants from destruction. 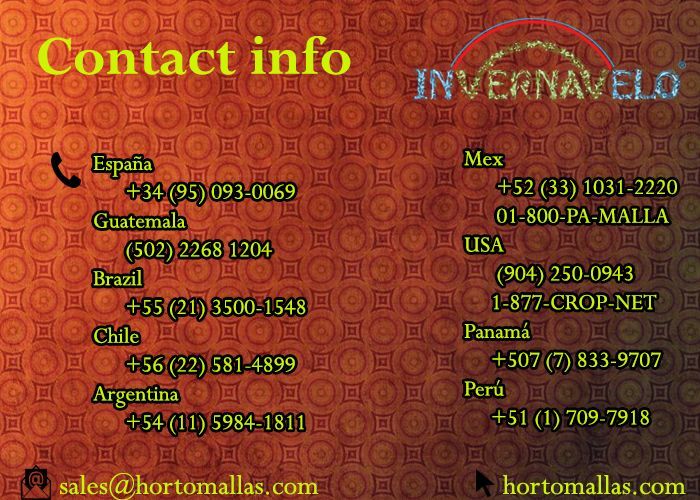 One of the main facts about agricultural-fleece also called horticultural fleece is that it is completely UV stabilized. This gives the fleece a longer lifespan and makes it more effective. The style of the polypropylene non-woven fabric makes it resistant to tearing and stretching. It can also be directly laid on the crops or installed in a different form as garden cloches or on greenhouse structures. Agricultural-fleece can be used for many seasons. It is also environmentally friendly as no heavy metals or harmful toxins are released in the final breakdown of the fabric. 3. If the pot itself is breakable, then wrap it with the fleece a couple of times. You can also use the fleece to wrap other breakable items in your garden too. Agricultural-fleece works as an effective climate barrier because it helps to reduce temperature extremes. Vegetable patches and flower beds are covered the same way as the potted plant mentioned above. For beds, the use of frames and cages are very popular to prevent the fleece from touching the plants at all times. If there is already a crop cage setup, then use staples to fix the membrane. You can use polytunnel hoops to create the frame. Polytunnel hoops are very effective and can also be adjusted easily due to their malleable nature. Agricultural fleece is light, soft and warm to touch. Because of this, it is commonly used to wrap and protect slightly tender plants against winter weather. This material is also porous, and this makes it much less prone to conditions such as overheating as well as wet conditions as compared to polythene covers. 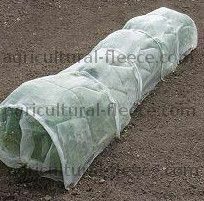 Agricultural-fleece it can be directly laid on the crops or installed in a different form as garden cloches or on greenhouse structures. Frost blanket: what makes it so special?